Is your organization already GDPR proof? 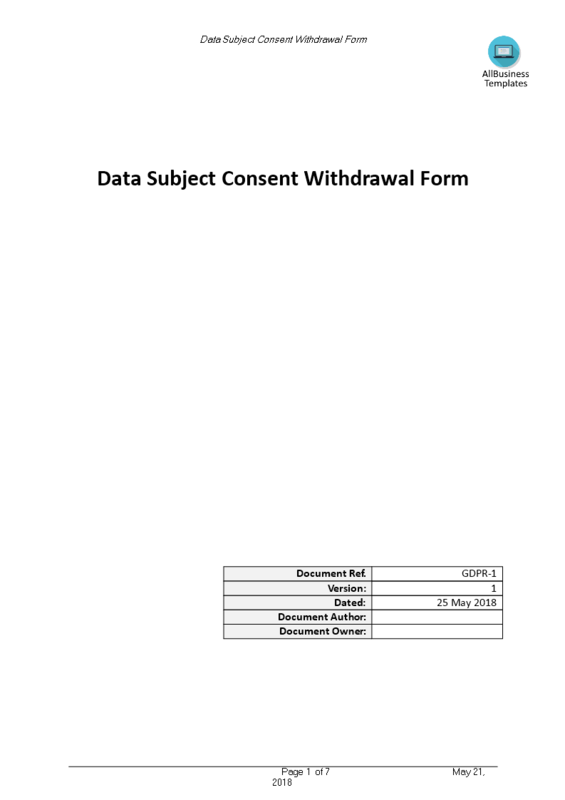 Are you looking for this Data Subject Consent Withdrawal Form? Download this Data Subject Consent Withdrawal Form now or check out our fit-for-purpose GDPR Complete Compliance Kit templates here! The document(s) will be available to download immediately after purchase.